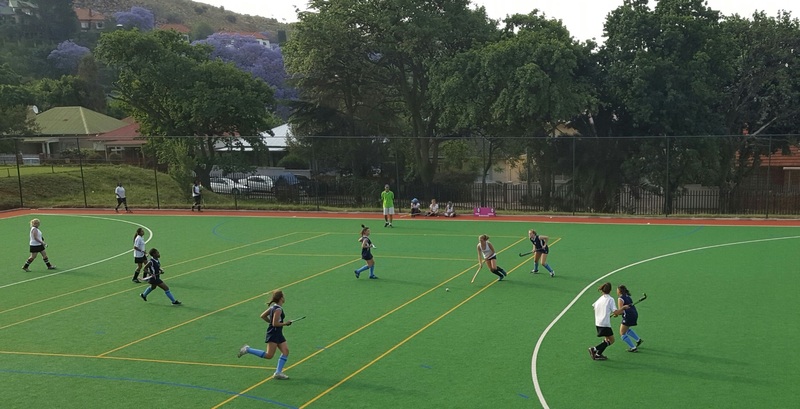 Jeppe’s 5-a-side hockey league was introduced in October/November to provide an opportunity for girls to play a different format of hockey in the off-season. It has its own set of rules and is fun, fast-paced and competitive. The Teams have 5 players, one of which may be a goal keeper and the games are 10 minutes each half, with a two minute half time break. The league takes place on Friday afternoons on the astro court, with u15 and u18 teams from Jeppe, EG Jansen, Maragon and Parktown Girls participating.